Seems pretty simple right? 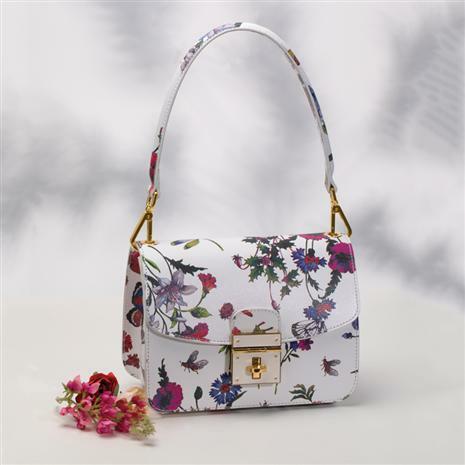 While each of these elements may be easy to perfect individually, it’s achieving just the right balance between them that’s a sign of a true quality handbag. No one has mastered this skill better than the Italians. Generations of leather craftsmanship have left them well-equipped to combine just the right leathers and continually push the envelope when it comes to design. 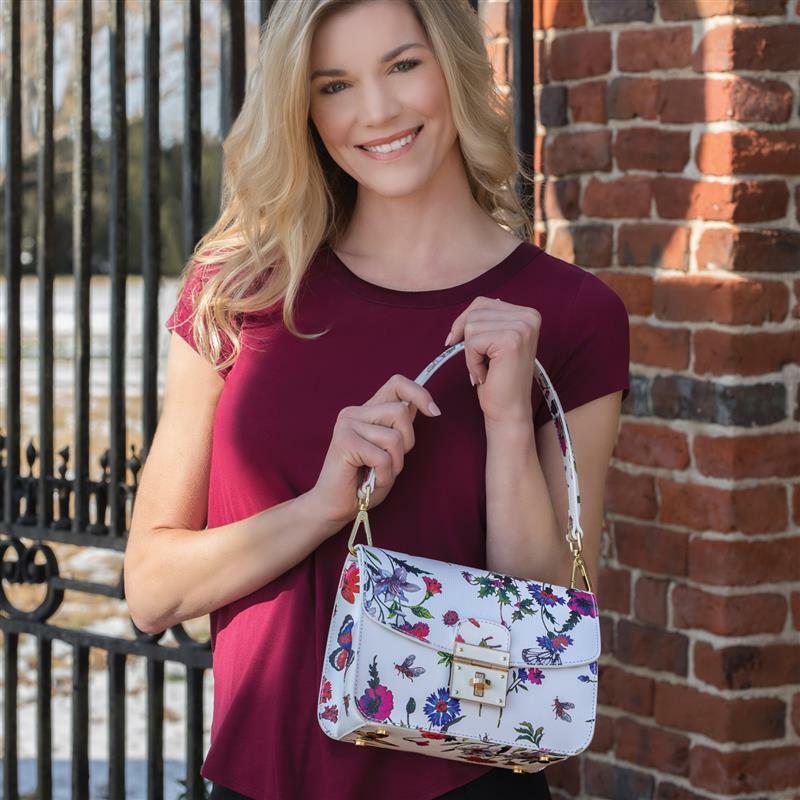 Our Primavera Handbag is the perfect example of what can happen when each of the four elements of handbag mastery is executed flawlessly. The Primavera is crafted from gorgeous Italian leather, in a whimsical floral pattern that recalls the intoxicating first days of spring. Proportion, line, material and finish––the Primavera is the full package! 8 1/2" x 4 1/2" x 6 1/2"